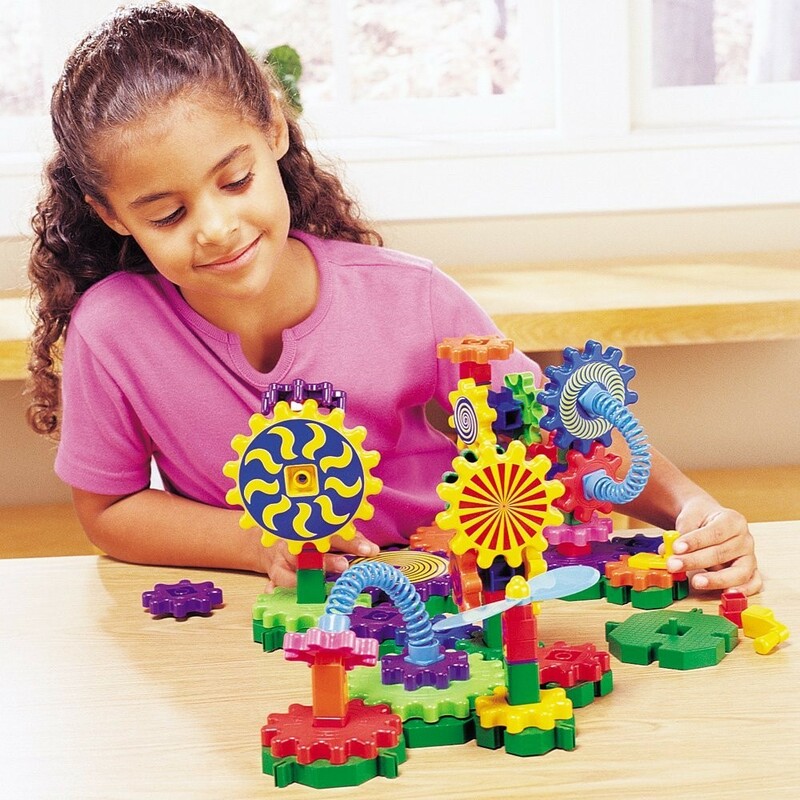 Create a visual display of movement, color, and craziness with this awesome 83 pc Gizmos construction set from the Gears! Gears! Gears! toy series. Want to build a moving topsy-turvy structure? 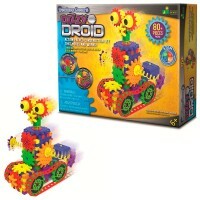 This Learning Resources' Gizmos Gears 83 pc Building Set really whirls and twirls beyond any child's wildest dreams. 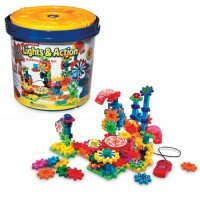 The building kit from the Gears! Gears! Gears! 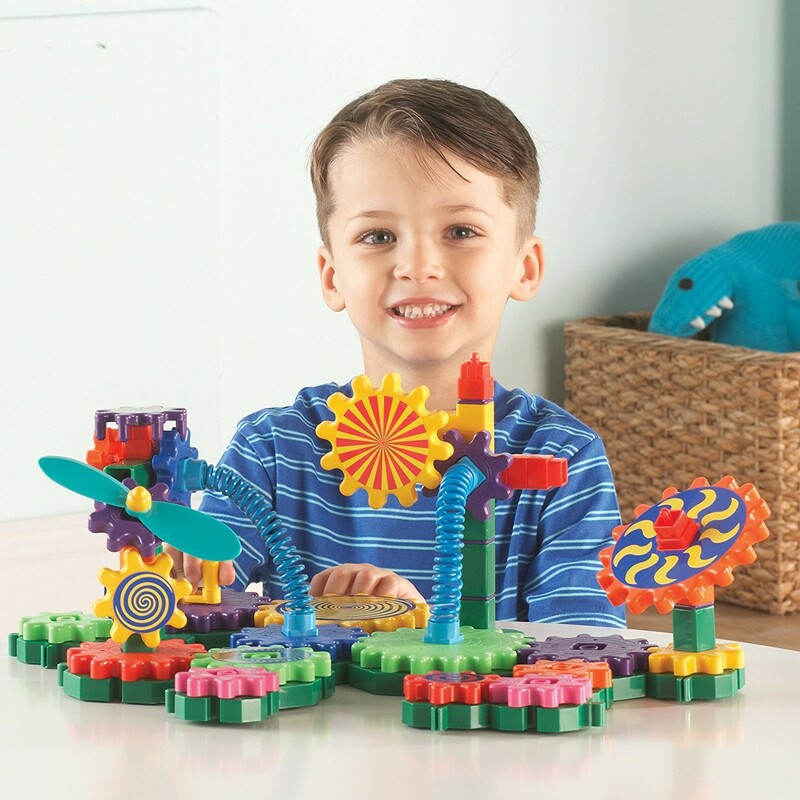 series has all the funky pieces to build whimsical things and STEM skills for your child. 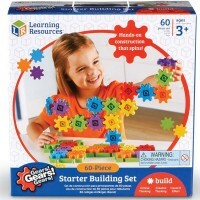 This hands-on gears construction set contains bright color small, medium, and large gears, base plates, connectors, pillars, crown gear, spirals, springs, propeller, crank, and storage bucket. 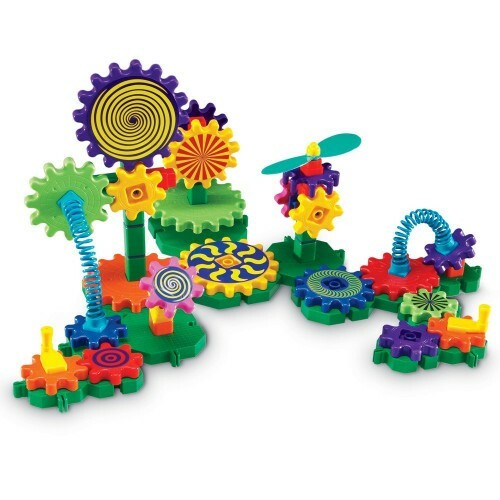 Follow the color-coded instructions to build a moving chain of whimsical gears or design your own gears construction - the engineering fun is guaranteed! 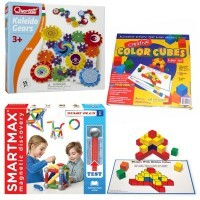 This creative construction set is compatible with any other Gears! Gears! Gears! 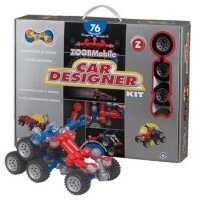 building toys from Educational Toys Planet. 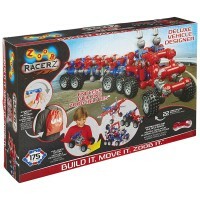 Dimensions of package 11.1" x 4.2" x 14.6"
Write your own review of Gizmos Gears 83 pc Building Set. Rating: 5 Good to engage toddlers by By A customer This is perfect to engage toddlers (3+ years). Will need a parent or grown to show the way this works, but they pick up quickly. 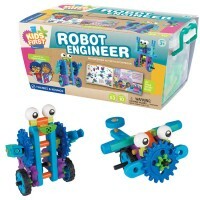 Rating: 3 Love the idea but not the quality by By A customer My 5 years loves it, she immediately jumps to it and starts building her own Gizmos. I can see it will help her develop creative thinking. However, I gave 3 stars because of the quality, one of the springs broke right after one play. Very disappointed. Rating: 1 Broken by Jaimie Very disappointed, my daughter received this last night for Christmas and the spring was broken. No ability to contact anyone as it was a gift. Rating: 5 QUALITY by By A customer LOVE!!!! 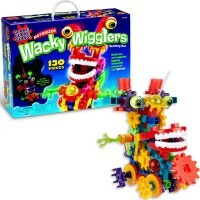 Rating: 2 Wanted to like, poorly made and hard to set up by Jaimie Gosh I wanted to like this toy. Received this as part of the Stem subscription. I've pulled it out a dozen times in the last 2 months attempting to generate some interest for any of my kids (aged 6,3,1) and not a so for one of them finds anything engaging about this toy. My 6 year old attempting to build one stage of it (he's a lego wizard and usually entertains himself with building anything) but the pieces don't fit well, instructions are poorly written, and overall just a flimsy made toy. 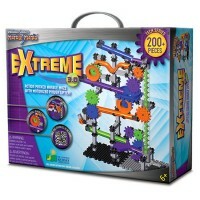 Rating: 4 Four Stars by By A customer Good product for learning about gears. Rating: 5 by Ronald, AZ This was a gift for a grandchild. He seems to be happy with it.